Raiders used a car to smash their way into a convenience stare in the early hours of Saturday morning (November 14). 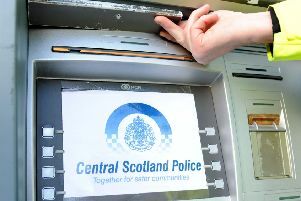 The ram raid robbery, described by police as a “major incident”, took place at the A1 Supermarket, at 2 Woodhill Road, in Bishopbriggs at around 3.50am. A black Ford Focus was used to carry out the raid and approximatley £5,000 was stolen. Nobody was injured in the incident and police are looking for anybody who may have seen the car or witnessed the crime. If you know anything about the raid, call police on 101.